Throwing a pool party before autumn arrives? 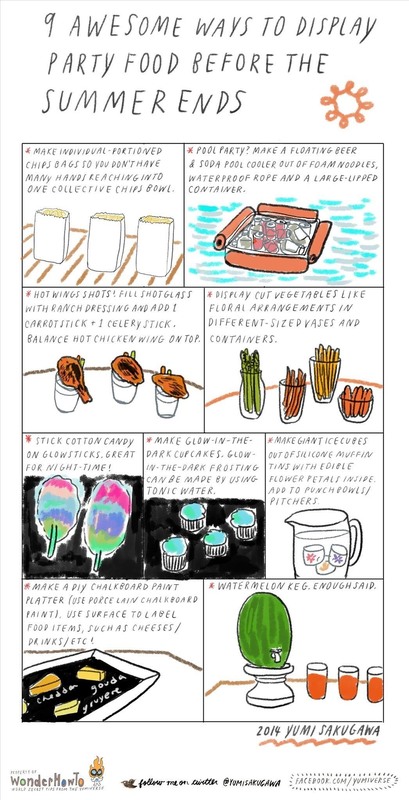 Truly emphasize the festivity of summer by making a floating beer and soda cooler out of foam noodles, waterproof rope, and a large-lipped container. For more creative food and drink displays for your next summer party, you can also try making individual hot wing shots, cotton candy glow sticks, giant floral ice cubes made out of silicone muffin tins, and more. Don't forget to also check out this useful WonderHowTo guide on how to make a watermelon keg out of a whole watermelon.